Good condition. 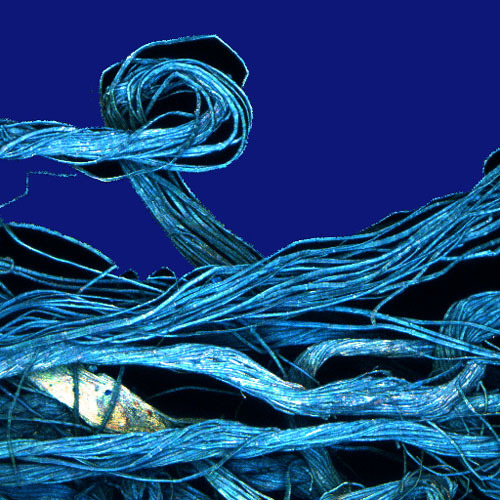 Rectangular fragment of the dress. Embroidered with green, gold threads to make images of natural forms. Embroidered and made by Emma Hamilton. Fine linen. 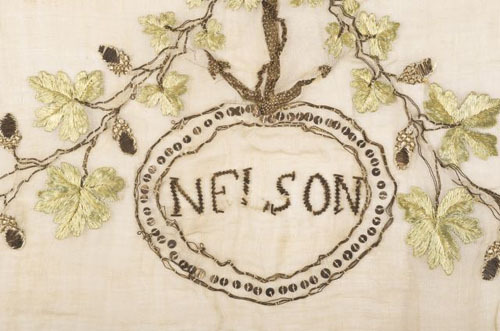 Text reads ‘Nelson, Bronte, Nelson’. History of Artefact Emma Hamilon made the dress hem to honour Admiral Lord Nelson and wore it on 29th September 1799 at a dinner in Palermo for his 41st birthday. Emma was Nelson’s mistress – this was a very public relationship. She had one child by him, a girl called Horatia. Nelson was the Duke of Bronte.